A team of women, funded through the University of Maryland (UMD)/University of Tübingen's (UT) research exchange program, recently published an empirical study in the journal of Contemporary Educational Psychology focused on the role of gender in students’ beliefs and values about mathematics. 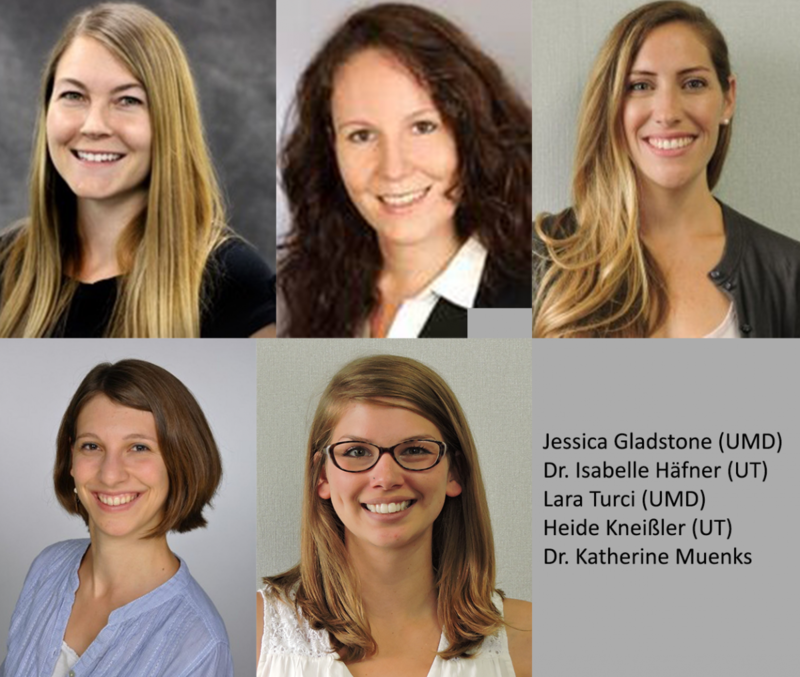 Its authors comprised of doctoral students Jessica Gladstone and Lara Turci from UMD, Heide Kneißler and postdoctoral fellow Dr. Isabelle Häfner from the University of Tübingen, and Dr. Katherine Muenks ('16 PhD) from Indiana University. This UMD/UT program was formally developed in 2013 by Maryland's Graduate School, and the Office of the President at the University of Tübingen (Germany), to foster collaborative international research and teaching among teams of faculty and graduate students from both institutions. Its interdisciplinary focus evolved from a long-term collaboration between Dr. Charles Caramello, former Dean of the UMD Graduate School, and Dr. Bernd Enger, Rektor of the University of Tübingen. Initially focused on the biomedical sciences, the areas expanded to neuroscience, cognitive science, motivation science and the social sciences-–areas in which both universities boast long histories of excellence. This most recent collaboration is the last project funded from the 5-year UM/UT program. Over the years, successful collaborations have included Drs. Cynthia Moss and Gerald Wilkinson and with Drs. Annette Denzinger and Hans-Uli Schnitzler along with 12 students, UMD's Center for Bioinformatics and Computational Biology (CBCB) and UT’s Zentrum für Bioinformatik Tübingen, Dr. Bill Idsardi and Dr. Andrea Weber, and work by Dr. Jonathan Dinman. From this latest crop of researchers, Gladstone, Turci, and Muenks are current and former members of UMD's highly successful Motivation in Education Research Group led by Dr. Allan Wigfield, Professor and Distinguished Scholar-Teacher in the Department of Human Development and Quantitative Methodology (HDQM). Another UMD/UT participant in 2016, Emily Rosenzweig (PhD '17, HDQM) is currently a postdoctoral researcher at University of Wisconsin-Madison. This fall, Muenks starts her first faculty position as Assistant Professor in the Department of Educational Psychology at the University of Texas, Austin. At Tübingen, Kneißler is part of MoMa - the Motivation in Mathematics research group, within the Hector-Institut für Empirische Bildungsforschung, headed by Dr. Ulrich Trautwein, Dr. Benjamin Nagengast, and Dr. Hanna Gaspard. Häfner is a former member and has continued to actively publish on student motivation. The MERG/MoMa research team, with Gladstone as its lead author, examined children’s mathematics ability beliefs, utility value and grades along with their mothers and fathers’ perceptions of their child’s mathematics ability and utility of mathematics for their child. The researchers found that parents of boys perceived mathematics to be more useful for their child than parents of girls. Additionally, mothers and fathers’ beliefs uniquely contributed to children’s own beliefs and grades in mathematics. There were also several interactions between mothers and fathers for children’s self-concept of ability and girls’ end-of-year grades. Overall, results suggest it is important to take into account parent and child gender when understanding associations between parents’ beliefs, and children’s motivational beliefs about mathematics, as well as their corresponding grades. "This program and our publication grounds the importance of collaborative research among not just researchers but also universities. This collaboration enhanced the quality of our research through the strength of the network of experts focused on student motivation," concludes Gladstone. 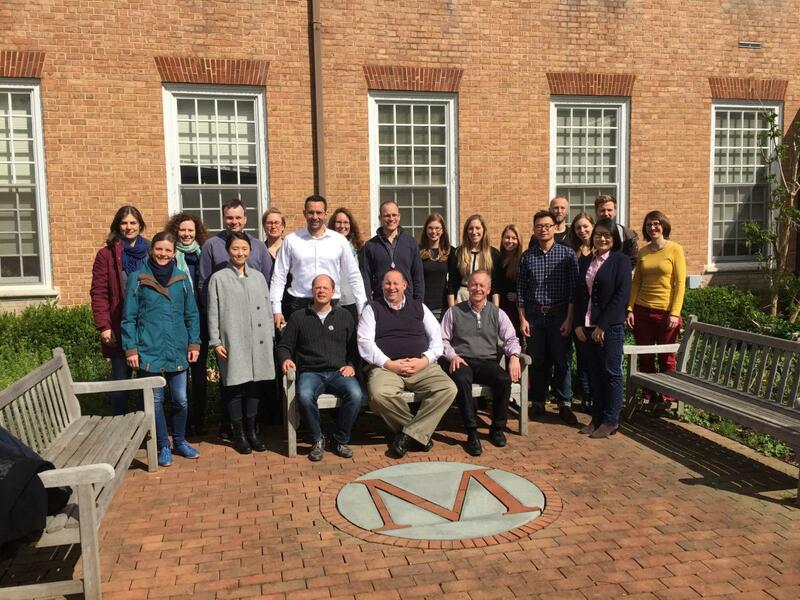 Adds Tübingen's Heide Kneißler, "I really enjoyed the opportunity to work with our partners at UMD - both here at Tübingen and when we visited Maryland in 2016. Each colleague's diverse approach to motivation research, as well as Dr. Wigfield's tremendous expertise, informed and expanded my own skills. We can only hope that these kind of cooperative international ventures continue to be a standard for good research."